From The Farm Blog Hop & Ask The Farm Girl: So Who Are You? Good Morning Ya’ll and Happy Friday! Welcome to the From The Farm Blog Hop and if you are a regular around these parts….well welcome back! 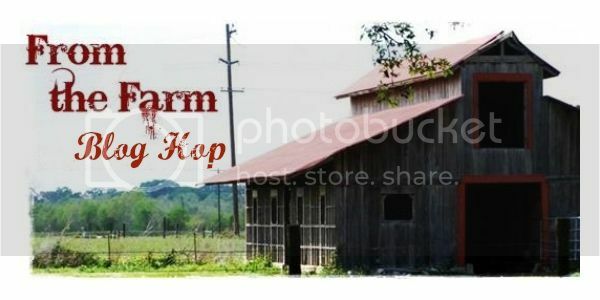 It’s time again for the From The Farm Blog Hop once again! I am excited because after today I only have one more Friday to work and then I will soon be out for the summer although that doesn’t mean I’m not working if anything then it’s time to get all the homesteading and gardening items ramped up…YEAH! This weekend will be packed with local music, time spent with family, and possibly a little beach time too! What about you what do you have on deck for this weekend? I always love hearing from all of you! This week the blog post I chose as my fave is Mindie’s the “Born Again Farm Girl” her post resonated with me as I am basically a Suburban Farmer and let me just tell you my Farm Gal DNA didn’t take long to kick in after I got married…oh boy did I collect pets, and plant a garden, and can food and well I thought I marched to the beat of my own drum and I did the Farm Girl journey I guess you could say. 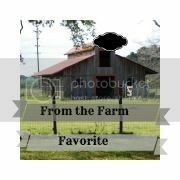 Well Mindie shares kind of an “About The Farm Girl” at her blog and I just know you are so going to enjoy it. She talks about her life growing up and shares some of her (mis) adventures….that’s a play on the name of her blog which I love by the way! “The (mis) Adventures of a Born Again Farm Girl. In many ways we are Kindred Spirits…we both love to cook, raise farm animals and much more! So since many of you life the homesteading lifestyle I know her story will call out to you as well! You have to go read it so I am not going to share all things Mindie over here plus her blog is packed with lots of great information! Keep scrolling to enter this week’s party! Congratulations! 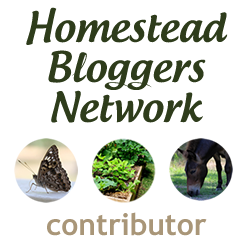 Please feel free to grab our button and display it proudly on your blog! 2. Link back to my blog (using the rel=”nofollow” tag), or put the link party button anywhere on your blog or post to share the love. 3. Make sure to check out some of the other links before leaving. We can’t wait to see what you share with us! It’s funny you talk about Farm Girl DNA today–I suppose I’ve got some of that, as well. My daddy grew up on a dairy farm, and while he was the first in his family to go off to college he’s kept dirt under his fingernails all these years. Last weekend my brothers and I joined our parents and helped them pack up for a move from their retirement community to an independent living facility. My dad will be coming back out to garden in his community plot once a week for the rest of the summer, but after that . . . well, who knows. It made me reflect on what lessons he’s taught me about soil (driving home 500 miles with Wee Oliver Picklepants as my only company helped me gather my thoughts as well) so I’m got a Father’s Day/Gardening Lessons–Soil Amendments/A Year in the Life of One Garden Bed post that is also the recipe for Roasted Garlic & Pesto Buttermilk Pizza Dough. I’m also sharing another place to stash farm share kohlrabi–in Kalua Pig Summer Rolls. These are tasty for hot weather. Finally, since our farm share is starting up soon (and because my dad gave me a no kidding trash can size bag of kale from his garden) I’ve got a Fast Greens & Pasta Concept Recipe–great for quickly getting a meal on the table and using kale/spinach/chard/beet greens/tender mustard, collard, or turnip greens while doing it. Hi Kirsten! Wow you have bunches going on! I cook up lots of recipes using kale and chard and collards but not so much turnip greens I guess I could learn a thing or two from you! I would love to learn about these Kohrabi in Kalua Pig Summer Rolls….tell me more! So glad you stopped in and commented! So glad you linked up this week Crystelle! Great to see you and can’t wait to see what you shared this week!